We have a budding artist in our home. She spends her days taking a white sheet of paper and turning it into masterpiece after masterpiece. She loves to create art! The picture below is often my daily view while little sister is napping and I am doing a few chores! 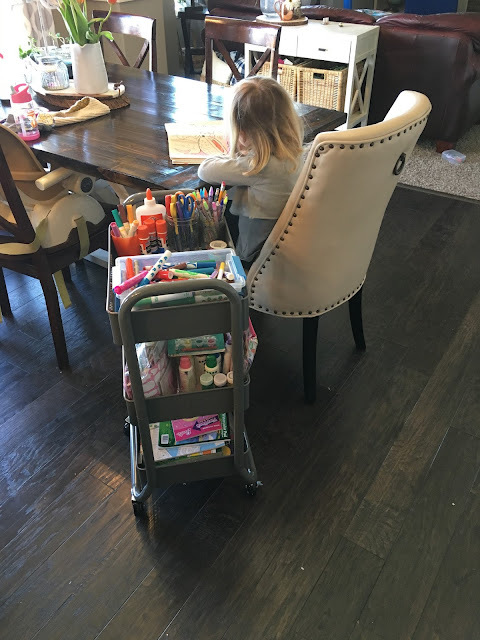 The problem we kept running into was that she would pull out all the supplies and it would be strewn across the table and then at the end of the day we would have to put it all away and it kind of became a daily battle. 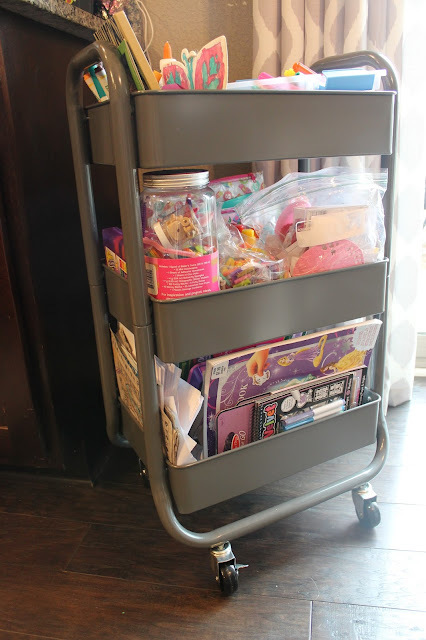 A friend of mine found this awesome cart at Target much like this one from Ikea and turned it into an art cart for her little girl! We were sold! All Vera had to do was it wheel it out of the pantry in our kitchen and pull it up to the table. In no time flat she could get to work. 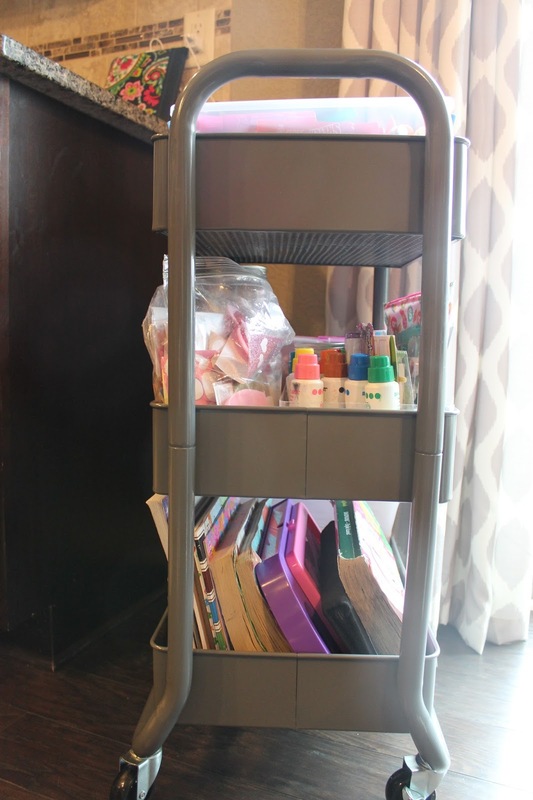 After we built the cart together in about 20 minutes time, we got to work organizing each of the shelves. We designated the top shelf to hold all her most used supplies. 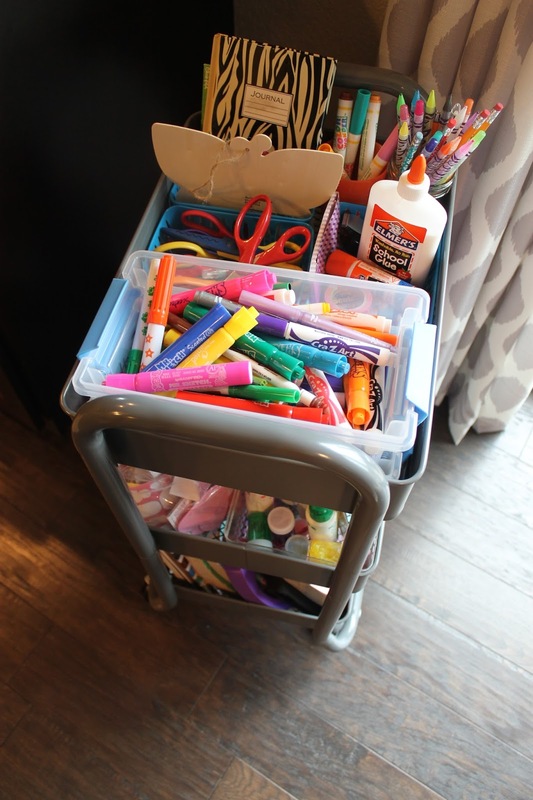 We got to work using dollar store containers to house all of her different supplies from glue, to her favorite pencils, markers, fun scissors and favorite crayons. The 2nd shelf held more supplies but things she didn't use as often. Things like stickers, beads, dot paints, stamps and stamp pads as well as other crafty type supplies. All in all, it was a fun project to work on with her and she could not have been more excited! We have lived with the cart for about 2 months and she is still as in love with it as the day we set it up. It also is functioning great for us. 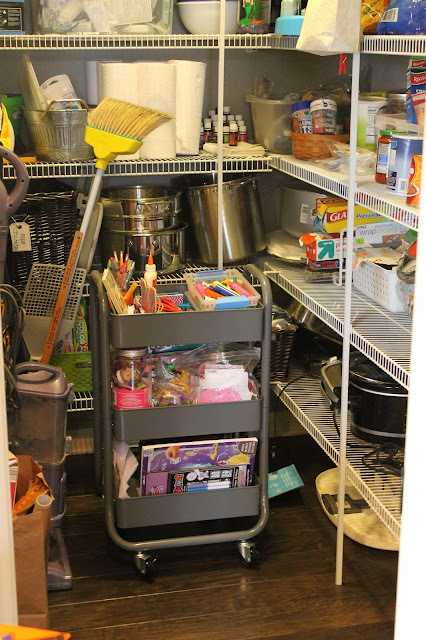 She just stows all of her supplies at the end of the day and is able to independently roll it back to the pantry! 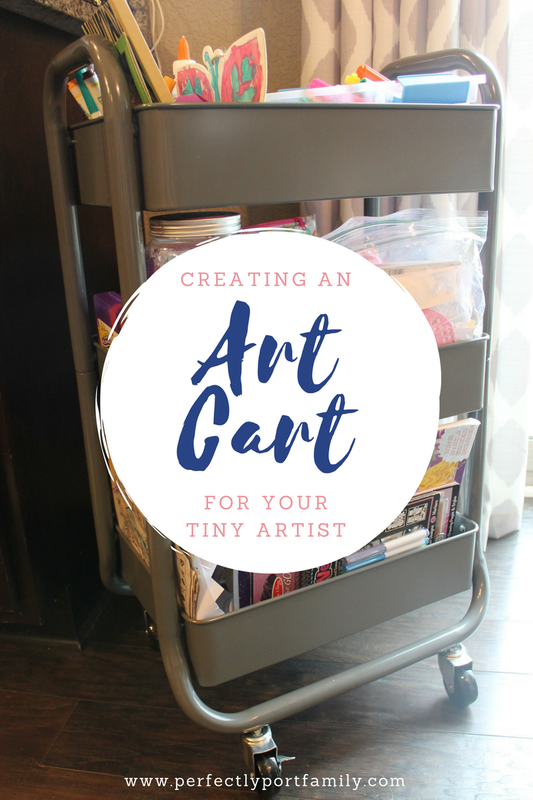 If you have a budding artist in your life, I highly suggest an art cart for your home. Not only is it a functional project but so fun to work on together. This would make a great present for a little artist in your life! Now that we are in the art making business...the next thing we need to discuss is exactly how to display and store all that lovely work. We have some tips and ideas on that so stay tuned :). Where do you stow your art supplies for your kids? Do you have a budding artist at your house? Until next time, keep on keeping on! Everyday is a new opportunity to learn and grow right where you are! You are a keeper and so glad you are here! I am linking up with My Glittery Heart and Johanna for Hello Monday! and Lindsay and BYBMG for Tuesday Talk. Check out their blogs for more fun!